NFP selects WORKTERRA's organic HCM solution for clients' benefits and talent management needs. 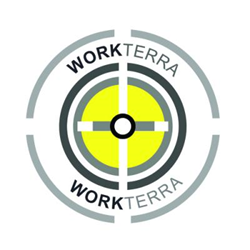 WORKTERRA, the easy-to-use, quickly implemented cloud-based benefits administration and talent management system for companies of any size, partners with NFP, a leader in the delivery of benefits, life insurance and wealth management solutions, to provide clients an easy-to-use, unified Human Capital Management (HCM) solution. "We are very excited to partner with NFP to bring true unified HCM capabilities to their clients," said Dave Rhodes, CEO, WORKTERRA. "NFP shares our vision that a unified approach provides tremendous benefits for them and their clients." After conducting a nationwide search, NFP chose a select group of industry leading HR technology providers including WORKTERRA, for not only benefits administration and enrollment, but for its ability to offer a unified HCM suite in a single solution. "Bringing best-in-class technology solutions to our customers in this ACA era is a core part of NFP's value proposition. With the regulatory burden and complexities associated with benefits administration, employers must have a proven benefits management platform, which is why we added WORKTERRA as a resource for our customers to choose from," said Ed O'Malley, President, Corporate Benefits and Individual Solutions. "WORKTERRA's understanding and leadership in benefits and HCM administration makes them a great tool to help navigate the complex and anxiety-inducing aspects of employee benefits." Developed from the inside out on a platform designed for managing benefits & people, WORKTERRA is built to accommodate the needs of any organization's unique requirements, no matter how simple or complex. WORKTERRA's unified architecture is a reason for its flexible technology, allowing for every module to be included on a single platform, accessible with one login. The WORKTERRA HCM suite includes recruiting, employee onboarding, benefits administration and enrollment, wellness program management and Affordable Care Act compliance. About NFP - At NFP Corp., our solutions and expertise are matched only by our personal commitment to each client's goals. We're a leading insurance broker and consultant that provides employee benefits, property & casualty, retirement, and individual insurance and wealth management solutions through our licensed subsidiaries and affiliates. Our registered investment advisers and broker-dealers empower independent financial advisors with integrated technology, subject matter expertise and a suite of customized services. NFP has more than 3,600 employees and global capabilities. Our expansive reach gives us access to highly rated insurers, vendors and financial institutions in the industry, while our locally based employees tailor each solution to meet our clients' needs. We've become one of the largest insurance brokerage, consulting and wealth management firms by building enduring relationships with our clients and helping them realize their goals. Recently NFP was ranked by Business Insurance as the 5th largest global benefits broker by revenue, the 4th largest US-based privately owned broker and the 11th largest broker of US business. In addition, PlanSponsor named us the 5th largest executive benefits provider of nonqualified deferred compensation by number of plans, and we were ranked 11th in personal lines P&C revenue by Insurance Journal. Our independent broker-dealer ranked 10th in annual revenue by Investment Advisor, and Rep ranked it the 6th highest in advisor production by assets under management. For more information, visit http://www.nfp.com. About WORKTERRA - WORKTERRA makes HCM easier, less confusing, and more efficient -- no matter the size of your company, today or tomorrow. It's a super-easy-to-use, quickly implemented, and extremely flexible benefits and talent management system that is smart, fast, and sharp. WORKTERRA is a cloud-based technology that's built from the inside out on a platform we designed, own, and continue to enrich through our innovation and passion. All of which ensures easy and fast configuration and enhancements. And because WORKTERRA is a unified system with every module on board, there's no outsourcing to worry about, no third-party apps to depend on. WORKTERRA won't leave you in the lurch after commitments are made or fall short under complex situations. Now, transform the way you manage benefits and people. Headquartered in Pleasanton, Calif., WORKTERRA is online at workterra.com. (C) Copyright 2013 - 2014 WORKTERRA LLC. All rights reserved.